As a registered nurse it is hard to find a provider that you can be very comfortable with and trust. After interviewing several other doctors in the area and researching several procedures, I decided to go with Dr. Serrão and the AquaShape procedure. From the moment I stepped into the office, Larissa and the entire staff made me feel like I was family. During surgery they took every step to make sure that I was comfortable and understood the entire process. This sounds funny to say, but I have never had a more enjoyable surgical procedure. They were right by my side talking to me, holding my hand, keeping me comfortable and safe. You also get to have a males perspective from Dr. Serrão as well as a females critical eye from Larissa, which made for an AMAZING RESULT! Everybody notices that I look different and say how great I look but they cannot quite put there finger on what I did. I would definitely recommend Dr. Serrão and the AquaShape procedure to anyone who is considering liposuction or a fat transfer procedure for a brazilian buttocks augmentation. I LOVE MY NEW BODY! I had my (AquaShape) procedure on a Thursday and was back to work on Monday, It was quick, easy, and had very little discomfort. I followed my instructions well and you can see from the pictures my great results, especially for a woman in her sixties! I was thrilled!! Thank you Dr. Serrão. I was completely satisfied with the results of my buttocks augmentation back in 2011. The results withstood my pregnancy very well. It has been a wonderful blessing for my self-esteem. At a time when most women are mortified by changes their body endured while creating life, I retained self-confidence and a great figure. I thank Dr. Serrão and his entire staff so much for changing my life. And so does my husband !! 🙂 🙂 I loved the results from AquaShape. I had researched fat transfer for many years. I decided to use Dr. Serrão who used the water-assisted lipo for a fat transfer to the breasts. He and his staff were phenomenal. From the first meeting, they made me feel at ease. The procedure went well and the results were great. They were supportive after the procedure as well. It has been 3 years and I am still very pleased and would highly recommend Dr. Serrão!! Breast augmentation was a procedure I considered for a long time, but was very apprehensive about. Dr. Serrão came highly recommended from a girlfriend so I met with him for a consultation. From the minute I stepped into his office my concerns were put at ease. The entire staff is welcoming, accommodating and knowledgeable. The procedure was explained to me thoroughly and I felt more informed about my decision. The surgery and recovery process went exactly as planned. I knew that during this time I could contact the office with any concerns or questions. I could not be more pleased with the results. I feel and look great, my only regret is that I didn’t get to Dr. Serrão’s office sooner. I Highly recommend Dr. Serrão for any cosmetic procedures. Dr. Serrão and his Staff took excellent care of me during my procedure, they held my hand every step of the way. Every question and concern was answered and cleared starting at my initial consultation until my last follow up appointment! Since my breast augmentation he has done my lips and facial fillers as well, and every time I got something done he took time and consideration to ensure I got the best result I could. I am thrilled with my breast augmentation result, now summer is here and I look fantastic in a bathing suit! Thanks Dr. Serrão. If you are considering cosmetic procedures, you have to give Dr. Serrão a try. You will not be disappointed!!! “Serrão Rejuvenation Center is a wonderful spa. Although I have not actually experienced all the great opportunities available, I must say that the massages I have experienced along with having my lips done had exceptional results. The employees are very kind and helpful. They truly appreciate your business and take concern for their clients needs AND wants. As a patient of Dr. Serrão for over 12 years. He and his wife, Larissa Serrão, are not only professional, but also fantastic people and that is hard to find today. Serrão Rejuvenation Center overall has a great ambiance, fantastic staff, fabulous results, and of course it is also reasonably priced but most of all, you feel at home! “I am so excited to have the opportunity to express how wonderful my experience has been at Serrão Rejuvenation Center, Dr. Serrão and Larissa are caring people and very honest, comforting, and knowledgeable professionals. From the initial consultation through the treatments and follow-up visits, they worked hand in hand to ensure my comfort and satisfaction. Dr. Serrão and Larissa spent endless time talking to me about the importance of seeking realistic results and expectations. I appreciated their honesty and felt well informed and able to comfortably make the best choices for me. I had Botox for my forehead lines and Thermage on my face and neck. The Botox result from Dr. Serrão was the best, most satisfying result I’ve had. The Thermage was so impressive! I experienced skin tightening that allowd me to see a firmer, younger looking face immediately following the procedure. I look forward to seeing the final result. “After six abdominal surgeries I needed some help to rid myself of my “pooch” but didn’t want to have anymore surgeries. I work out a lot; eat good and nothing seemed to help. That’s when I tried mesotherapy on my abdomen. After the first treatment my stomach was definitely flatter and tighter. There was not much pain and discomfort following the procedure. I would definitely recommend this procedure. Thanks, Dr. Serrão! “Beautiful medical spa … Beautiful Botox!! The best since Beverly Hills!! 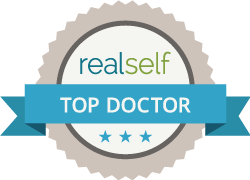 “I have trusted Dr. Serrão as my doctor for many years, so it seemed the right decision to trust him again when I decided to pursue options to help improve my self-image and myself. He is a natural at offering aesthetic treatments because he treats each med spa client as he treats his patients, with attention to detail and precision. Dr. Serrão and his staff are great too and I am pleased with the results.